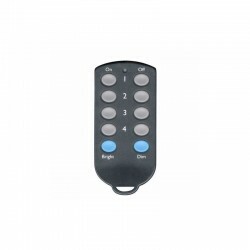 The TM12 responds to wireless Radio Frequency (RF) signals from any X10 wireless remote controls or wireless wall switches. 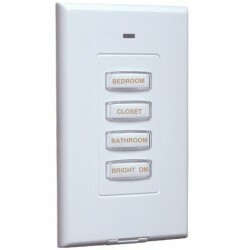 It re-transmits, over the house wiring, any signals it receives from these wireless remote controls or wall switches. 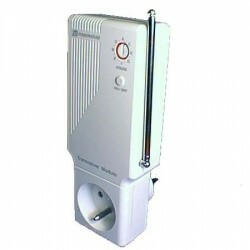 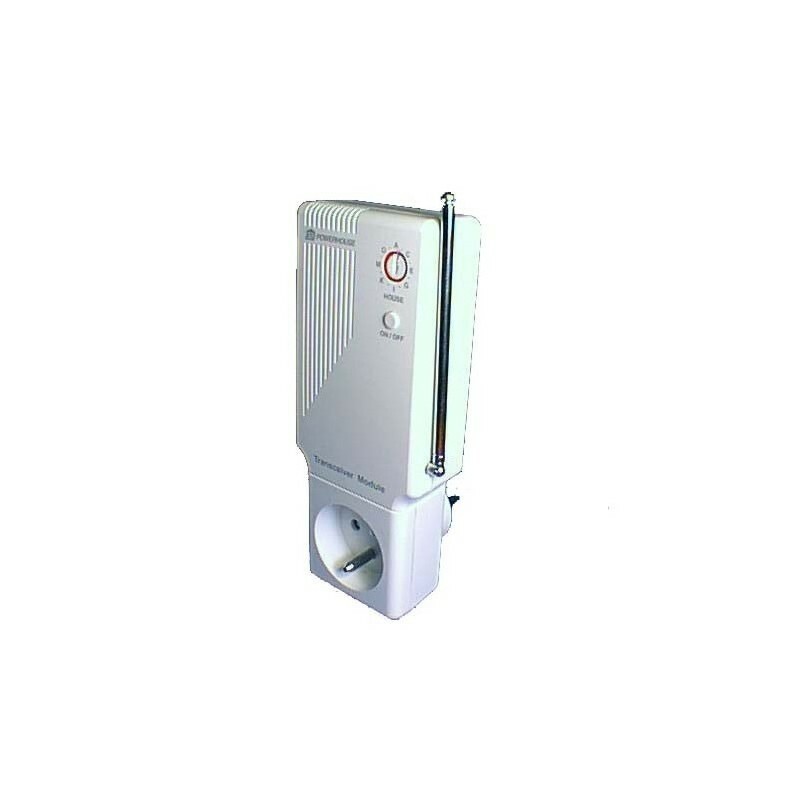 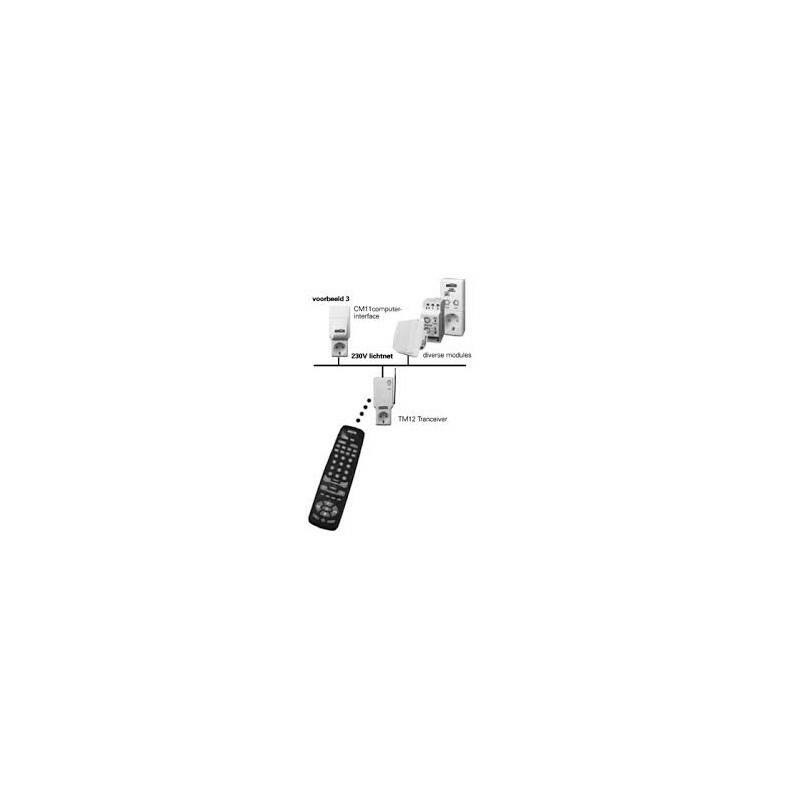 A built-in appliance switched outlet responds to X10 signals received on the power line or to RF signals received from any X10 wireless remote controls. 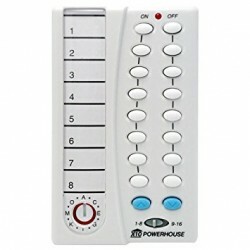 The TM12 responds to a serial control message in "STANDARD" X10 format : "All units off" from any X10 controller set to its house code regardless of unit code, or alternatively, by individual unit controller by "On" and "Off". 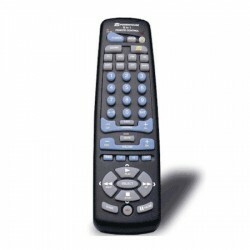 The TM12 can be polled for its status by the CM15 (two way universal computer interface) or by any controller using the PROFESSIONAL X10 format. 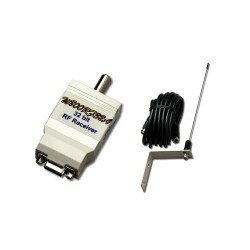 When used with the CM11E interface, the TM12 acts as the "RF gateway" to get signals from any X10 wireless transmitter onto the AC wiring, to be received by the CM11E interface to initiate macros. This is the general purpose unit for the smallest to largest applications. 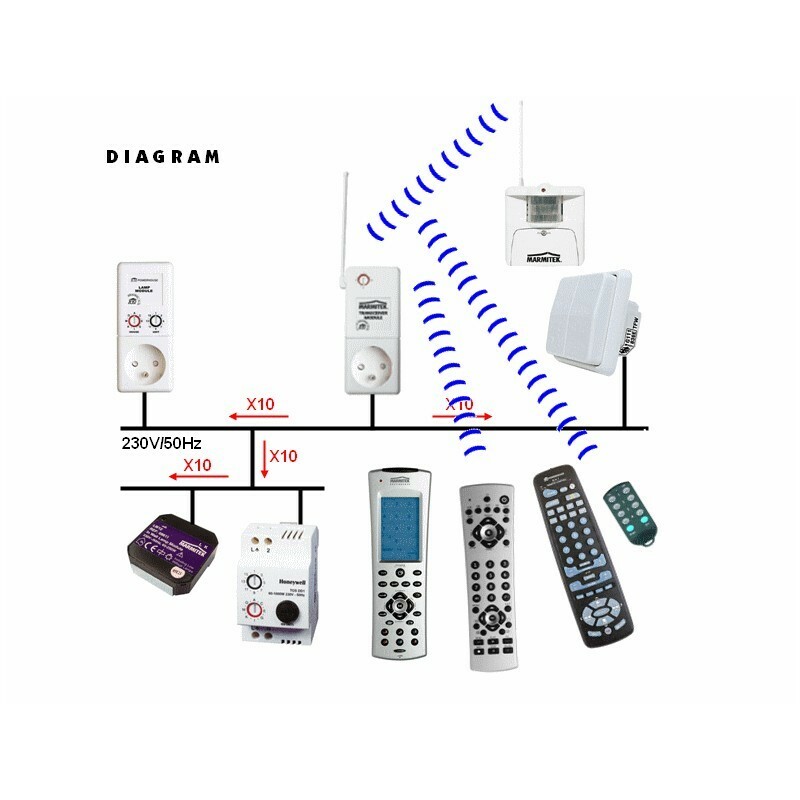 It can be a starter kit with an X10 RF transmitter for remotely turning ON and OFF any appliance. 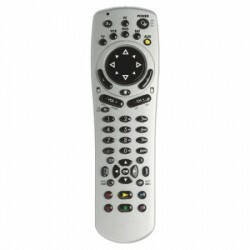 Equally it can be the interface for multifunction macros.